Your car seems to be a magnet for trouble, collecting dings and dents in almost every parking lot. Then you get yourself into a bit of a fender bender that leaves your vehicle looking uglier than ever. While many drivers consider these damages to be “minor” and in need of only “cosmetic” repairs, it actually can be worthwhile to invest a little extra into fixing your car’s body damage. In fact, these damages may be worse than you think. In some cases, you could even get into some trouble for driving around a car that is deemed “unsafe,” especially if you are involved in another accident. Sure, nobody wants to spend money, especially if there’s the possibility that the same mishap could happen again, but in many cases, it’s worthwhile to fix problems from the start. Instead of shrugging off your next fender bender, consider these 5 things. Even if you hit a median at a slow speed, your vehicle could sustain some problems that may not be noticeable. So there are just a few marks on your bumper and the side of your car, but this common mishap may even affect your car’s frame, suspension, and steering. Many people in fender benders also complain that they later discover radiator and tire damages that they didn’t notice at first. In many fender benders your car gets some minor dents, and in some cases the paint scratches off. While you may not want to pay for a paint job right away, it could be worth it. Over time, the scratched away surface will begin to rust, making it more difficult to repair. While it varies by state, driving without properly installed auto body parts can be illegal. For example, some states require that a vehicle’s bumper be intact. Cars should also have properly functioning lights and a driver’s side mirror. You may get pulled over for some of these problems, but if you get into an accident because of these damages, then you may end up with even bigger problems than a ticket. If you’ve been thinking about getting rid of your car, then you might feel inclined to not put any more money into fixing your car. But, it can be hard to get the money you deserve for your car when it looks like it belongs in a junkyard. 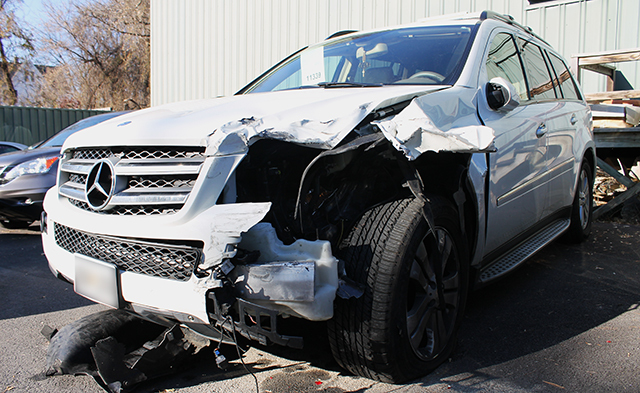 It’s worth getting an estimate on some of the bigger body damages so that you can increase the value of your vehicle. “But if I ignore it long enough then it will just go away?” Nope. Even the smallest damages can get worse with time, and in some case this can be unsafe. Let’s say one of your car doors just doesn’t work and then you get in an accident. You might be trapped in your car simply because you didn’t want to fix that small problem. Or let’s say your windows don’t always close all the way and your car ends up with some flooding. Good luck fixing that smell. Next time you are debating those body repairs, give yourself time to think about the benefits. In some cases it’s fine to keep your vehicle untouched, but it can never hurt to speak to an auto body specialist about repairs and pricing. This post was contributed by Direct Paint and Collision, offering auto body and collision repair services in Havertown, Pennsylvania.